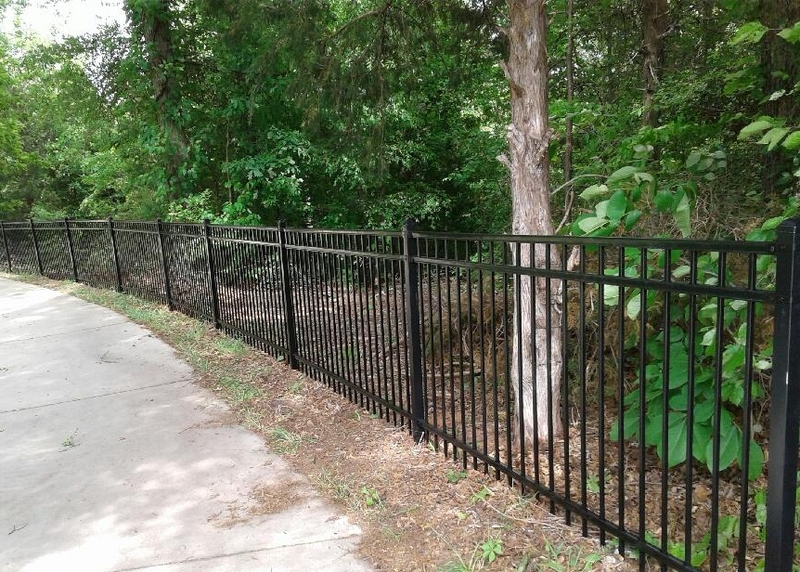 Ornamental and Aluminum Fencing — Gaston Fence Co., Inc.
Ornamental fencing offers a maintenance-free, classic style with excellent durability and security. It adds a polished professional look to your commercial or residential property. This beautiful and functional product is available in different design styles to perfectly accent your property. 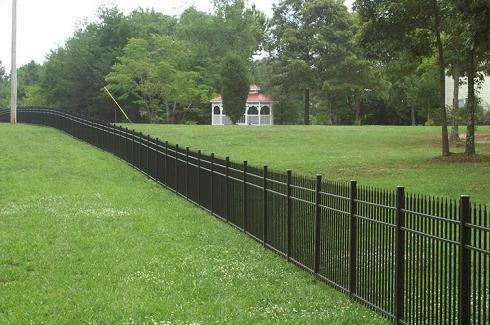 Gaston Fence Co., Inc. has joined forces with Alumi-Guard and Ameristar Fence Products to offer the finest quality, maintenance-free ornamental fences available. All materials are backed by a manufacturer’s warranty. 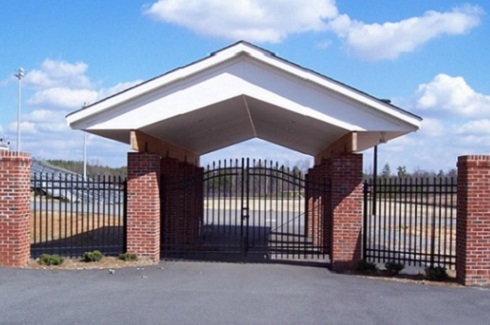 WHY SHOULD YOU CHOOSE AN ORNAMENTAL FENCE? ADDED BEAUTY: Because there are so many style and color options available, selecting the correct product that best compliments your property is often the quickest and most effective way to boost your curb appeal. 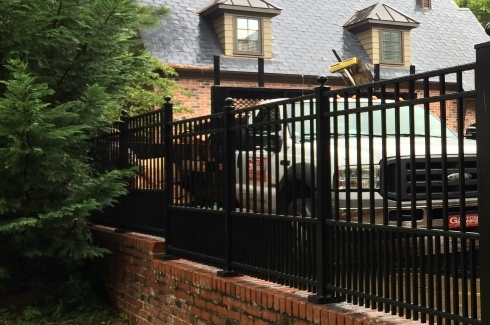 An ornamental fence, either in steel or in aluminum, often adds value to your property as well as being aesthetically pleasing without becoming invasive. VERSATILITY AND RACKABILITY: Not all fence materials may be adjusted to the slope and grade of your property however we use rackable products which eliminate the unsightly gap between our fence panels and the ground underneath. 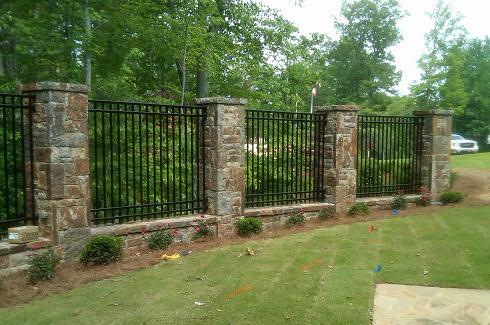 With customizing options like rings, finials, or decorative post caps, your fence can be tailored to better achieve the look you want. In addition to personalized add-ons, there are many styles and heights from which to choose. 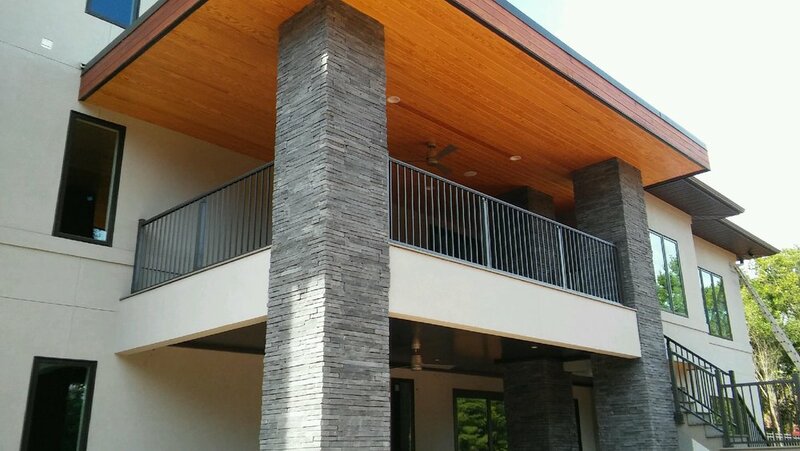 DURABILITY AND MAINTENANCE: Because of the chemical make-up of aluminum, this material will not rust. 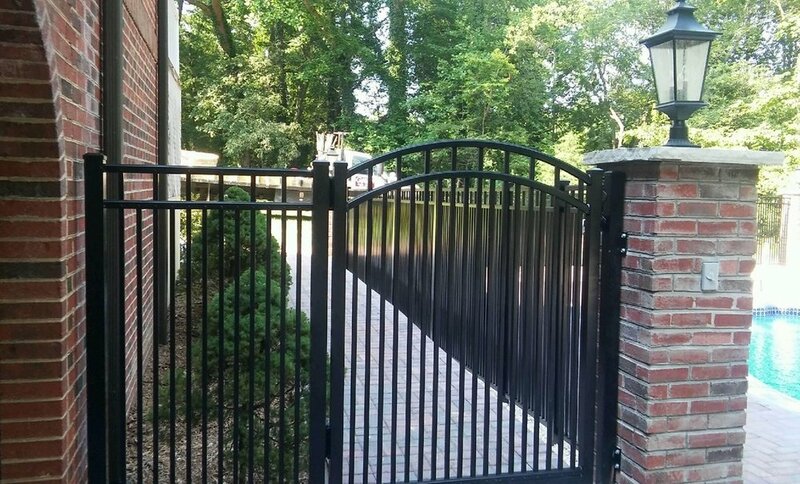 Our ornamental fence is colored using powder-coating which makes repainting unnecessary. Because of this process, our fence products are not at risk of being damaged by exposure to environmental elements. 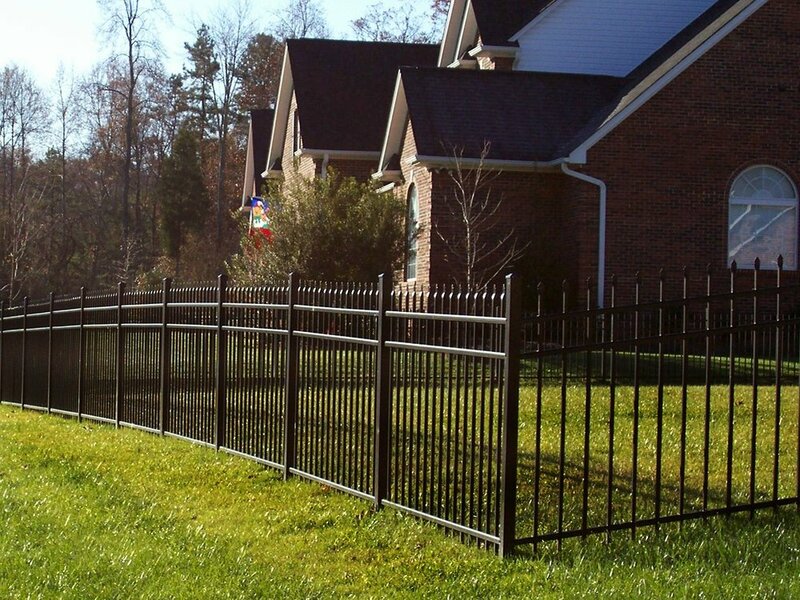 SAFETY AND SECURITY: In addition to being durable and of little maintenance, the materials used in an ornamental fence are sturdy and act as a reliable deterrent against break-ins or theft. 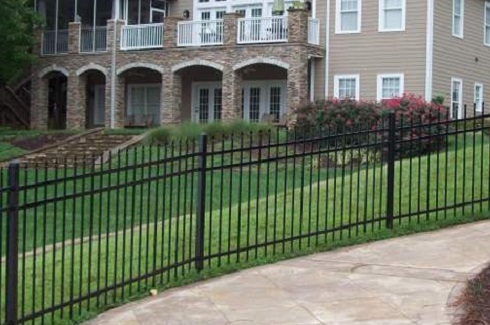 Depending on the style you’ve selected and on the type of fence suited for your needs, the very presence of this fence is often enough protection for your surrounding property. 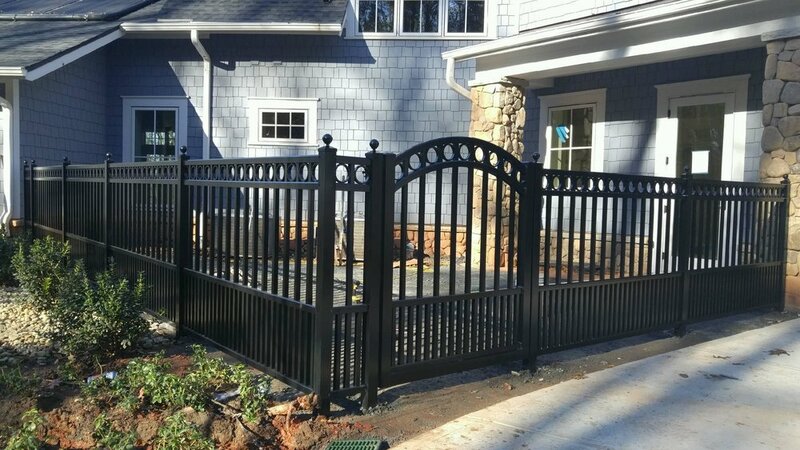 If you’re looking for a fence type dependent upon compliance codes, like a swimming pool or playground, an ornamental fence is the easiest and most cost effective way to ensure those needs are met while being both safe and beautiful.